Carnival Elation is in the final stages of a multi-million-dollar makeover that includes the addition of an expansive new WaterWorks park, 38 new cabins, 98 balconies to existing staterooms, and a variety exciting food and beverage concepts. · Guy’s Burger Joint: a complimentary poolside venue developed in partnership with Food Network personality Guy Fieri serving hand-crafted burgers and fresh-cut fries enjoyed amidst a décor that celebrates the chef’s California roots and love of car culture. · RedFrog Rum Bar: a poolside watering hole offering the quintessential Caribbean holiday vibe with refreshing Caribbean rum-based frozen drinks and beers, including Carnival’s own private label draught brew, ThirstyFrog Red. · BlueIguana Tequila Bar: a fun and lively outdoor bar offering a laid-back Mexican-themed atmosphere and tequila-based frozen drinks and beers, perfect for chillin’ by the pool. · Camp Ocean: a colourful marine-inspired play area designed for kids ages 2-11 that showcases the wonders of the sea through fun and engaging interiors and more than 200 ocean-themed activities, including arts and crafts, science-oriented programming and more. · New Cabins, Stateroom Enhancements: Thirty-eight cabins have been added – two Grand Vista suites offering floor-to-ceiling windows, 22 junior suites, two scenic ocean view cabins and 12 interior accommodations. Additionally, private verandahs have been added to 98 existing staterooms, creating spacious new 230-square-foot staterooms with balconies. All staterooms will offer new island-inspired interiors with bright colours and soothing pastels inspired by Carnival Elation’s tropical itineraries. · WaterWorks: Located on Verandah Deck, this expansive all-ages water park features an enclosed 300-foot-long Twister water slide full of exhilarating twists and turns, two 82-foot-long racing slides, and a splash zone for kids. · Mini-Golf Course: A nine-hole miniature golf course has been relocated to Deck 14, providing a fun and relaxing pastime for families to enjoy in the fresh sea air. 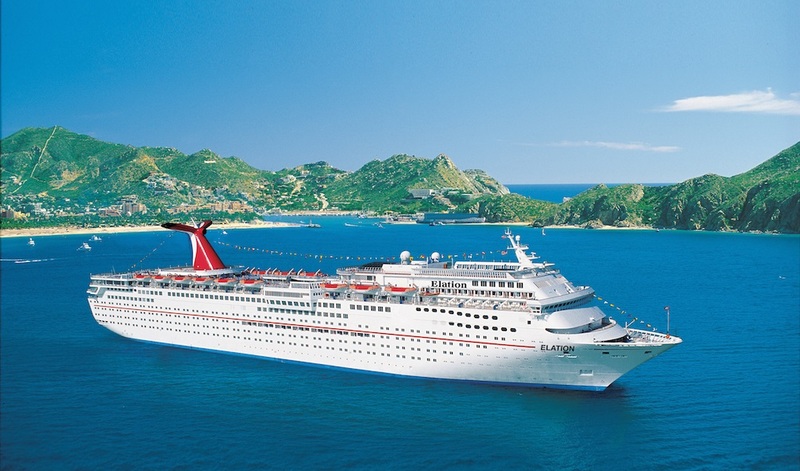 Carnival Elation is Jacksonville’s only year-round cruise ship offering four- and five-day cruises to The Bahamas featuring stops at Freeport, Nassau and the private destinations of Half Moon Cay and Princess Cays. Carnival Elation will also offer a special six-day Bahamas cruise and an eight-day Bermuda voyage in April 2018 as well as a one-time seven-day eastern Caribbean cruise the following month. To learn more about Carnival Cruise Line, visit www.carnival.com. For reservations, call 0808 234 0680.